VisionPro will create a unique package of forms and email them to your customer with instructions on how to sign. Your customer will receive the form package and can sign using any desktop or mobile device. The signed and completed form package now has a security audit trail and is automatically returned back to you and associated with the bond record. 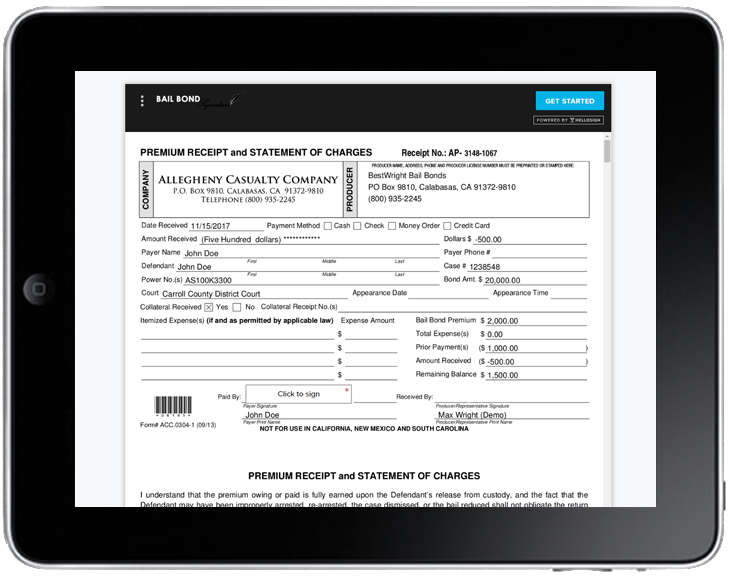 Add electronic signatures to your Account Today! STOP SHARPENING PENCILS AND START WRITING MORE BUSINESS. 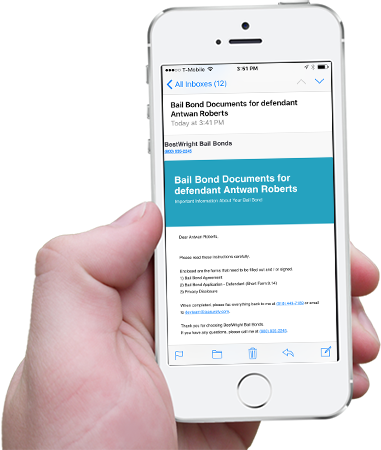 With Vision PRO’s electronic signature package your staff will be able to quickly and securely produce, send and execute bail bond agreements. Your clients will no longer have to deal with confusing paperwork and your staff will no longer be waiting for paper documents. VisionPRO’s e-sign feature is a true win-win for everyone. To learn more about how you can get your agency on e-sign, fill out the form below and sign up today. © Copyright 2014-2018 AIA Holdings Inc. All Rights Reserved.